Created with a wonderful iconic pattern acknowledged with the Eleaf iKonn range only, the iKonn 220 Kit is a colorful and classy mod. 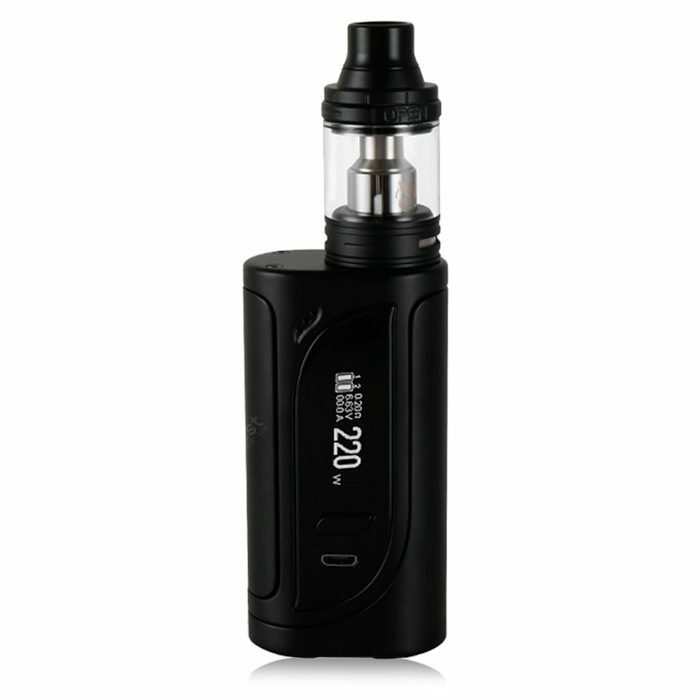 It contains double 18650 batteries that provide an incredible power of 220 W. It includes an upgradable software with a massive 0. 91 inch OLED Display that provides sharp and exact interface with 2 unique battery bars. Furthermore, it has a battery controlling trickle charging structure that allows both the batteries to charge to the same stage while also making sure risk-free charging. The adapter has the capability to transform the iKonn 220 watt and 510 connection to a USB supply for power bank stage. The product includes pre-heat features that enable fast heat of the coils at an extremely high wattage, thus providing a fantastic vaping experience. The 3 switchable interfaces showcased on this system also enable vapers to select from Puff software, latest interface, and 2nd interface. The kit likewise incorporates 2 different kinds of atomizers. The first is called ELLO 4ml and the second is ELLO 2ml. The ELLO tank filling is simple as all you have to do is to move the top cap showcasing the drip tip to come back to reveal the filling slot. The ELLO provides 2 diverse drip tips. The first one comes with a large area for excellent flavoured taste and improved airflow, and the second with a lengthy and sophisticated shape.